The regatta gift package is the ideal gift to delight all seafood lovers and costs $300. It contains salmon, halibut,scallops, lobster tails and shrimp. Regatta Package - An ideal gift to delight all seafood lovers. 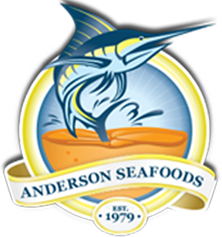 This package includes a pleasing assortment of rich salmon, flaky halibut, freshly shucked scallops, mouthwatering lobster tails, and huge shrimp. Wild Mexican White Shrimp: 4lbs 21/25 Peeled and de-veined shrimp with tail on, ready to cook and eat. Cold-Water South African Rock Lobster tails: 2 tails of 4 to 4.5 ounces each. These fine lobster tails are cherished worldwide for their flavor, and are wonderful steamed, boiled or broiled. 10/20 Dry Scallops: 4 lbs These sumptuous scallops are harvested directly from the ocean, shucked on deck, and immediately frozen on the boat to capture their quality. They are pure, natural, and free from chemicals or preservatives. Norwegian Salmon: 4 – 8 ounce portions of this deluxe Atlantic salmon, which presents beautifully in reds and deep pinks. When cooked, the salmon has a subtle flavor, with heart-healthy Omega-3 fatty acids. Alaskan Halibut: 4 – 8 ounce portions of this lean, mild, and delicate fish.